The ketogenic diet was first originated in the early 1900s as a potential natural treatment for epilepsy. Theoretically, by starving the body of carbs, the brain will be forced to run off of ketones, which may help reduce seizures and other abnormal brain activity that is common in people who have epilepsy. A recent meta-analysis published in the Journal of Neurology seems to support the idea that keto can help people with epilepsy. In the meta-analysis, the researchers assessed a total of 19 studies and 1084 patients. After analyzing the data, the researchers noted that the patients who stayed on the keto diet had a 2.25 times greater probability of experiencing at least a 50% reduction in seizures. For a more in-depth look at the research on how effective the keto diet is for treating epilepsy, click here. If conventional therapies are not helping you or your child lower the frequency of seizures, it may be best to try the ketogenic diet. However, before you get started, remember to discuss a suitable plan with your doctor and a registered dietitian, and monitor its effectiveness. 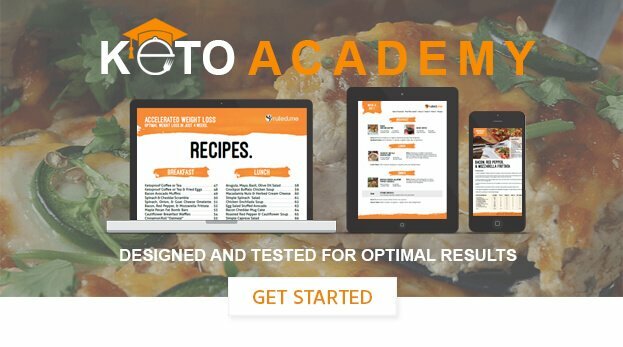 You can also use our comprehensive beginner’s guide to the ketogenic diet to help you get started.